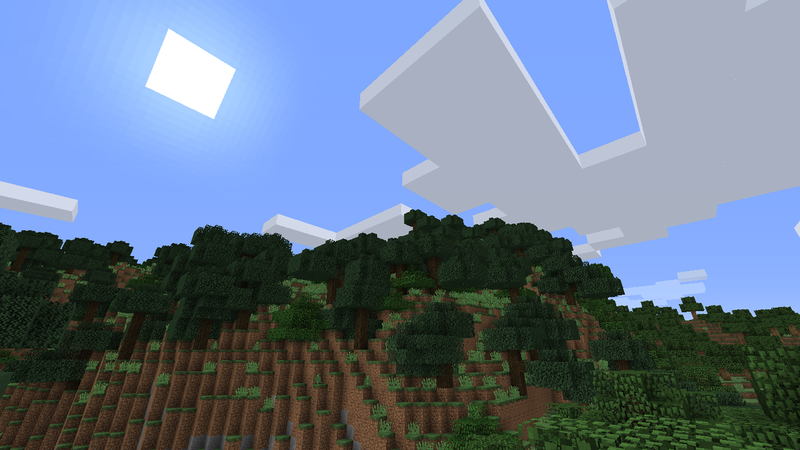 For information on modpacks and reuploads see the bottom of the page. If you make a video showcasing the mod, post the link either the comments, the discord, or message it to me, and I will put it here! - Low Woodlands: The most common variant. 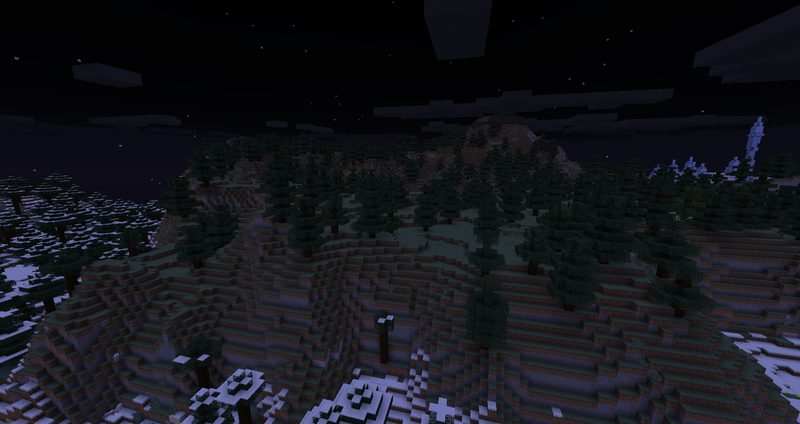 Only oak trees and at a higher density than the normal forest biome. - Woodlands Hills: Less common. Like the low woodlands but hillier. - High Woodlands: About as common as Woodlands Hills. 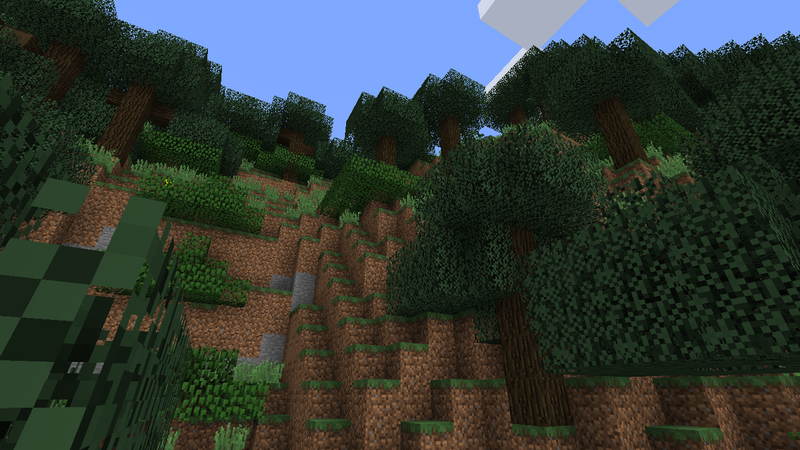 Trees are less dense and the base height is higher. It is also slightly less sloped (though this is not conspicuous). - High Inhabited Woodlands: One of the least common two. 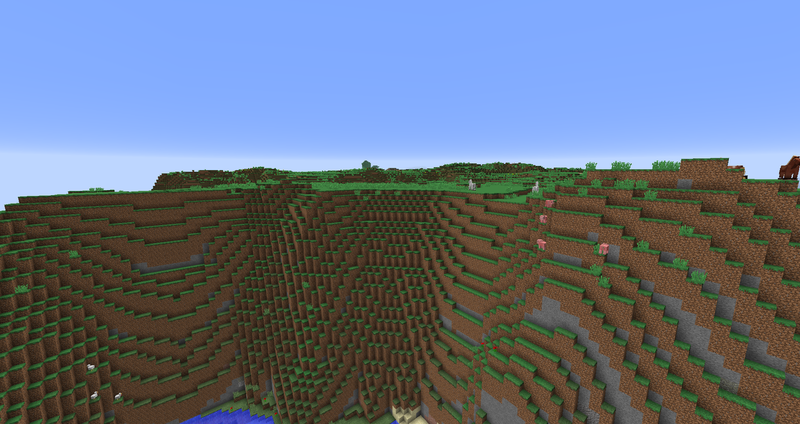 Slightly lower base height (not noticeably) and villages can spawn. - Low Tall Woodlands: Variant of Low Woodlands characterised by the abundance of big oak trees. Wolves can spawn here. 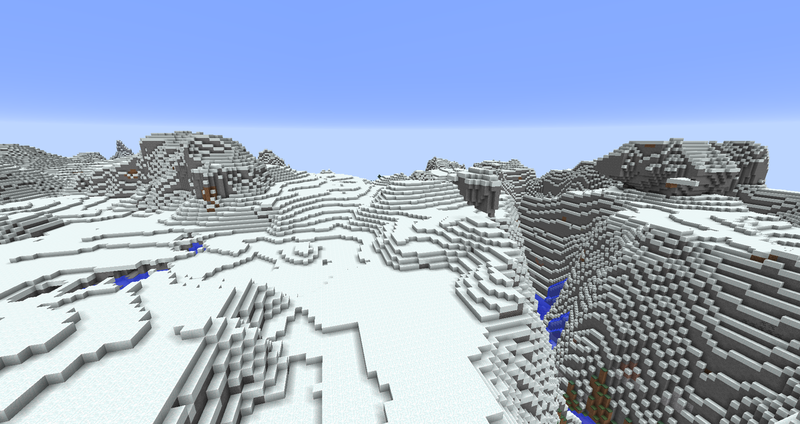 - Northern Alps: The normal "alps" biome. 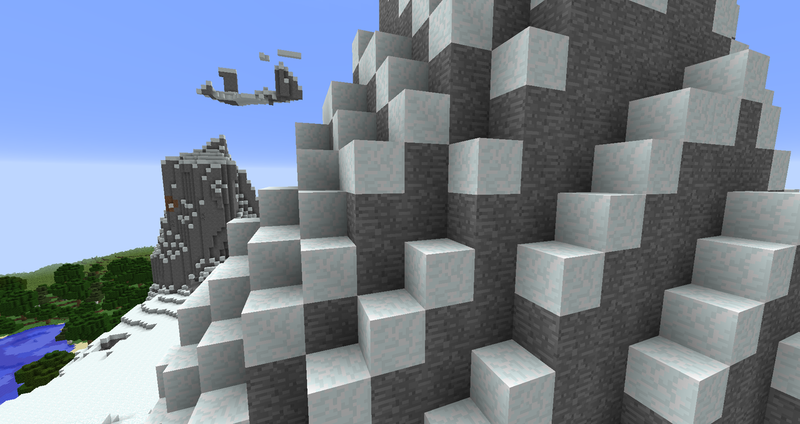 Higher than extreme hills, and occasionally has rock instead of deep snow at the top. No trees spawn here. The only mobs that can spawn are skeletons. 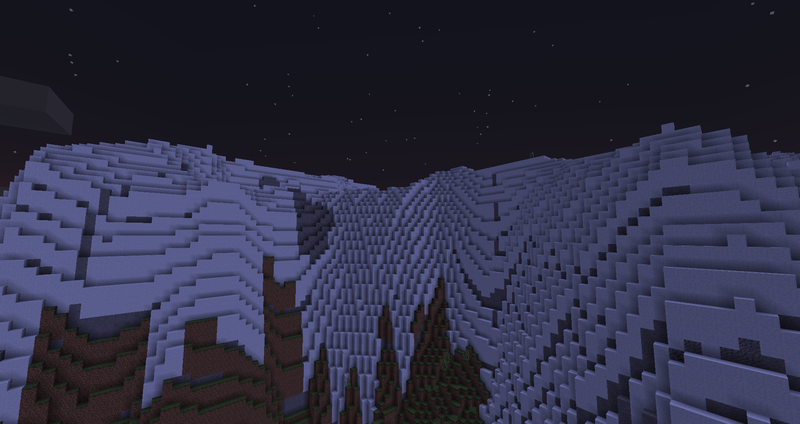 - Northern Snow Alps: (Just "Northern Alps" before a1.1) Like the Northern Alps, but with a snow layer on top. 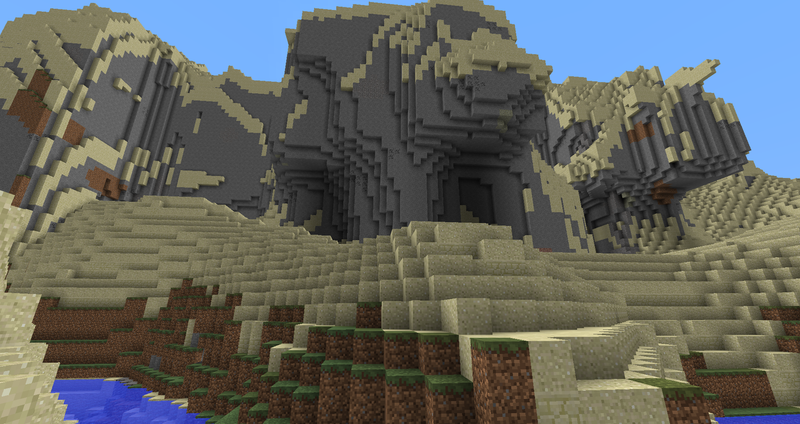 a1.1 tweaks: has boulders of stone that spawn. - Northern Snow Subalpine Alps. 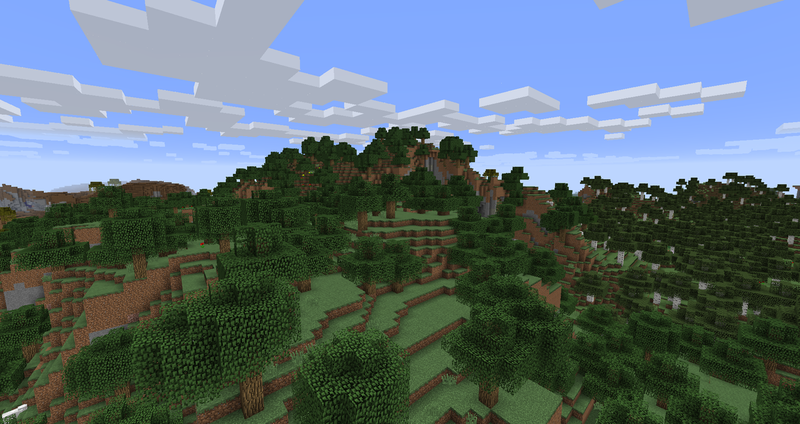 Lower biome which can also generate trees. 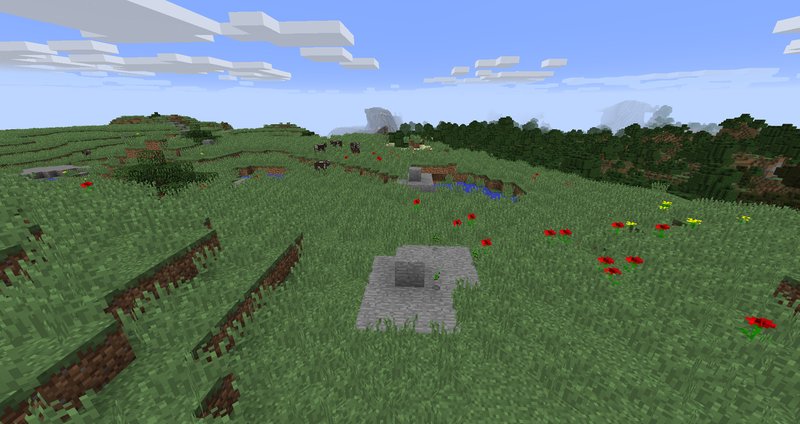 In addition to skeletons, wolves and sheep can spawn here. - Northern Subalpine Alps. Like Northern Snow Subalpine Alps but slightly hillier and slightly lower, and no snow layer will spawn here. 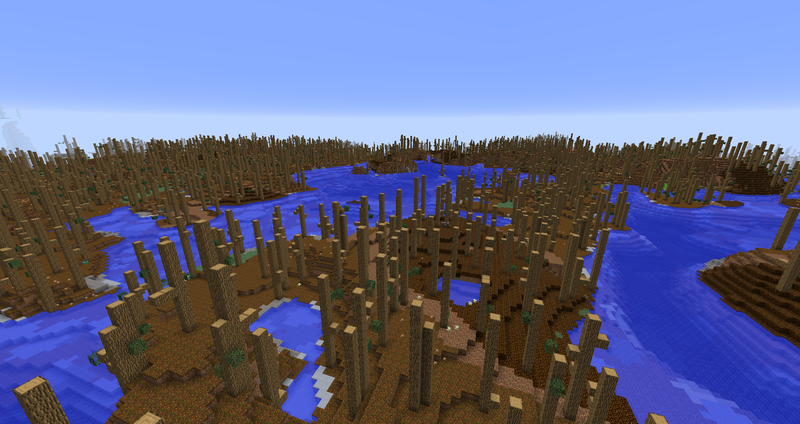 - Wasteland Flats: Flat biome covered in dead soil with occasional swamp trees. 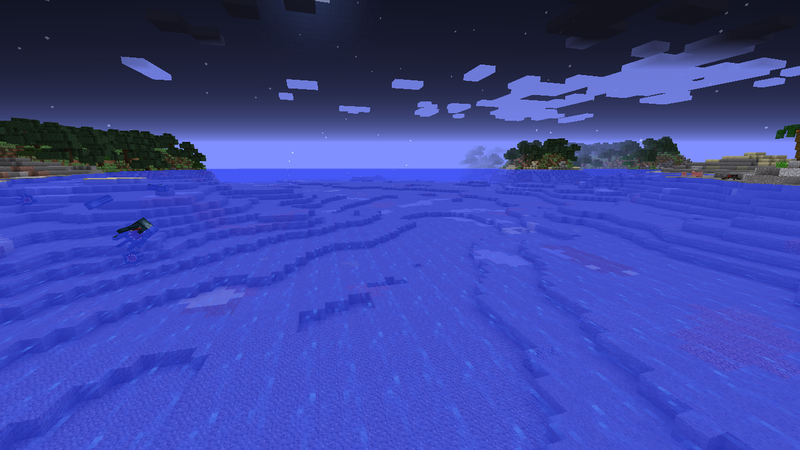 No peaceful mobs spawn here. 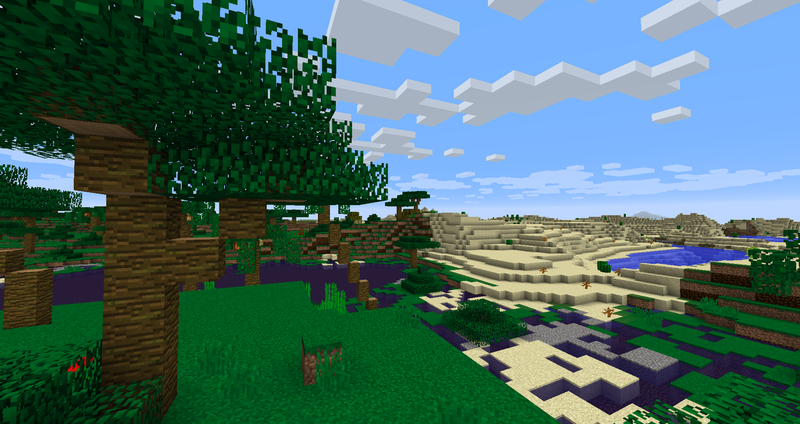 - Wasteland Flats Trees: Like Wasteland Flats, but deadbush generate and there is an increased number of swamp trees. Pigs can sometimes spawn here. - Wasteland Flats Oasis: Completely different to the regular wasteland flats: Made of grass, wet soil, and water. 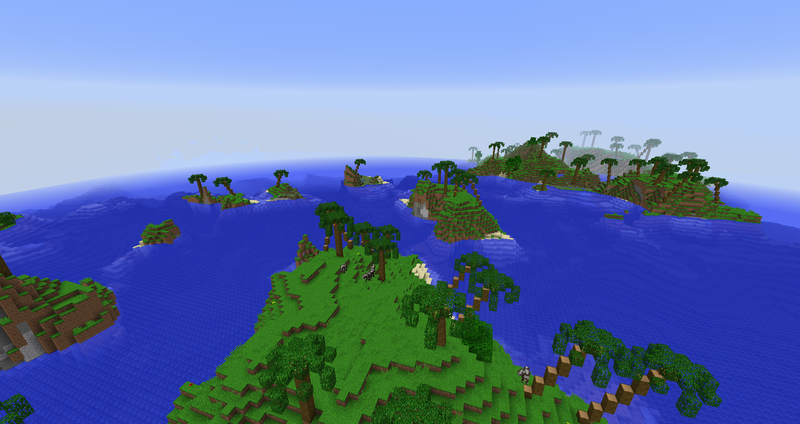 Palm trees and "Oasis Trees" spawn here in addition to small shrubs and dirt mounds. 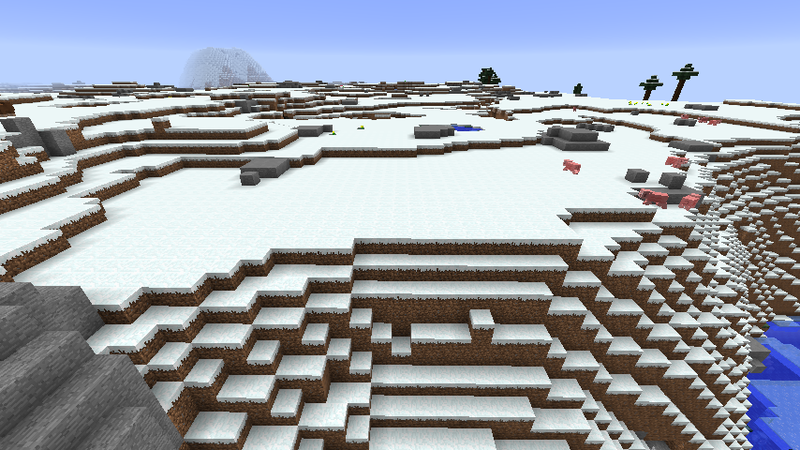 Animals spawn here as normal. - Lowlands: Lush grassland down low to the ground. Hillier than a plains biome. 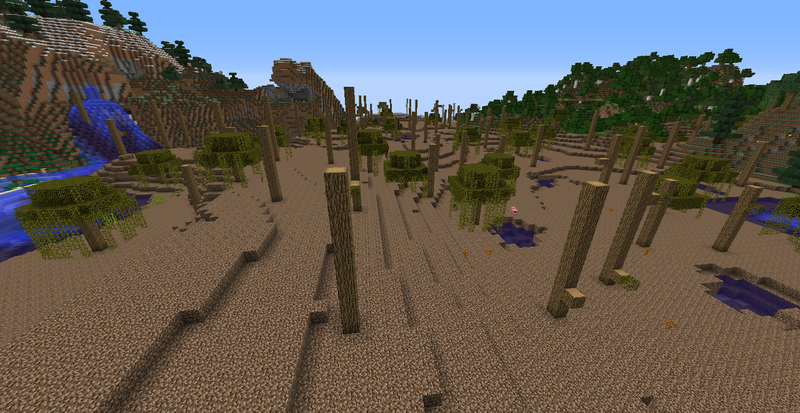 No trees will naturally generate here. - Highlands: Lush high grassland, much flatter than the lowlands. Trees do not naturally occur here. - Moorlands: Damp high grassland, similar to the highlands. Bushes and small rocks will generate here, as well as tulips and orchids. - Lowlands Chapparal: Drier, hillier grassland populated with tall flowers and leafy shrubs. - Southern Alps: High snow-covered hilly mountains, with rock underneath. Only spiders and strays spawn here. - Extreme Southern Alps: Like the regular "Southern Alps" biome, but hillier. - Southern Alps Subalpine: High, flat, cool, and grassy landscape. 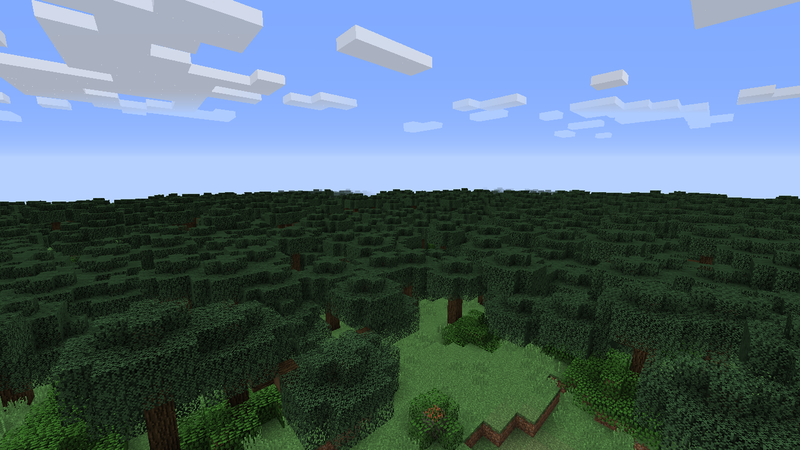 Bushes generate here. 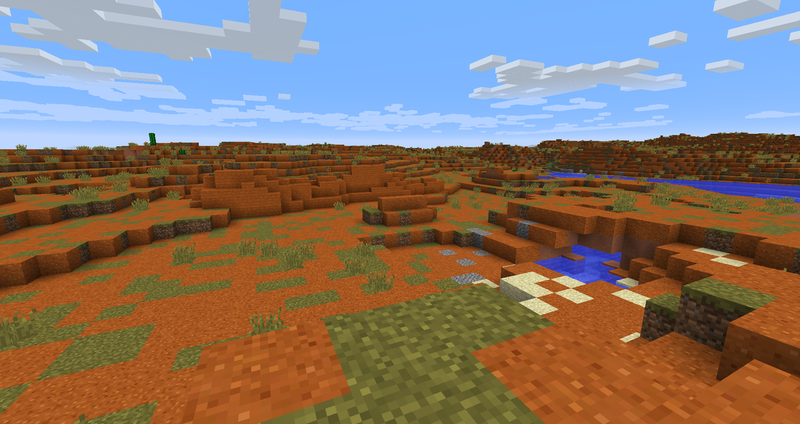 - Australian Outback: Subtropical desert area of red sand and grass. Boulders of red sandstone built to appear like a mini-uluru generate here. In newer versions brush-bushes generate here. 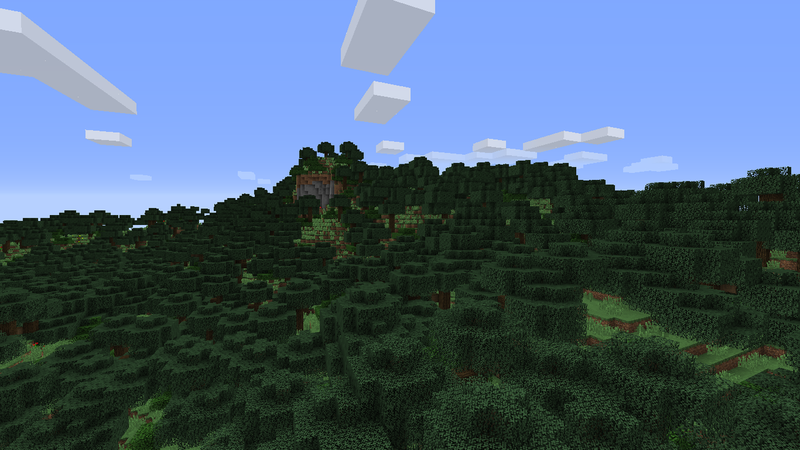 - Bluff: Extreme Mountainous biome which generates with blocks of grass and cobblestone at the surface. Unique "bluff pines" are found here. 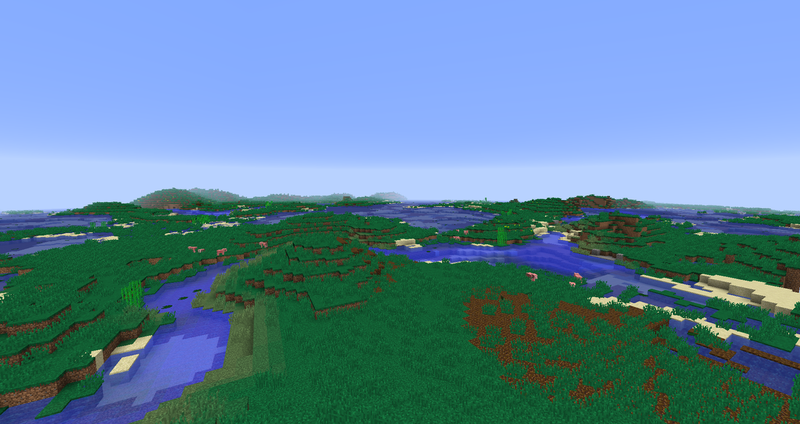 ~The biome has a slight difference depending on your 'z' coordinate. - Mire: Marshland of dense stripped oak trees and populous underwater clay. Covered in podzol, coarse dirt, wet soil, and some grass. - White Woods: Cold and snowy coniferous woodland with occasional oaks and bushes. 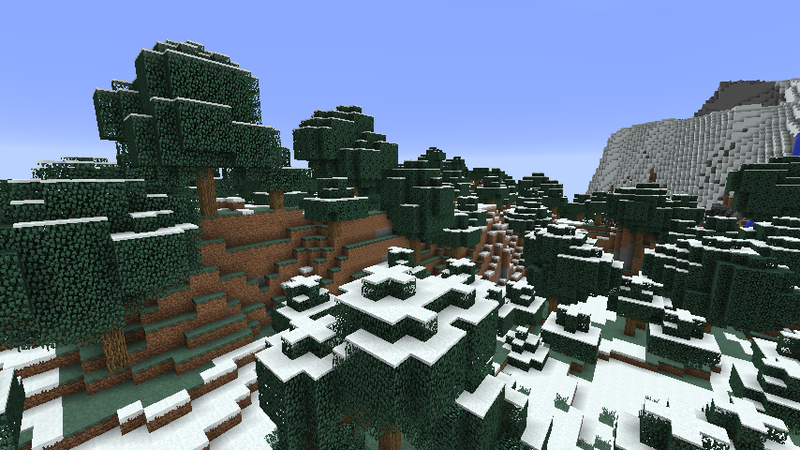 - White Oaks: Cold and snowy oaken woodland with some low bushes. - White Woods Hills: Hillier White Woods. - White Oaks Hills: Hillier White Oaks. Snow Rocks: Snowy plains littered with small and large rocks. 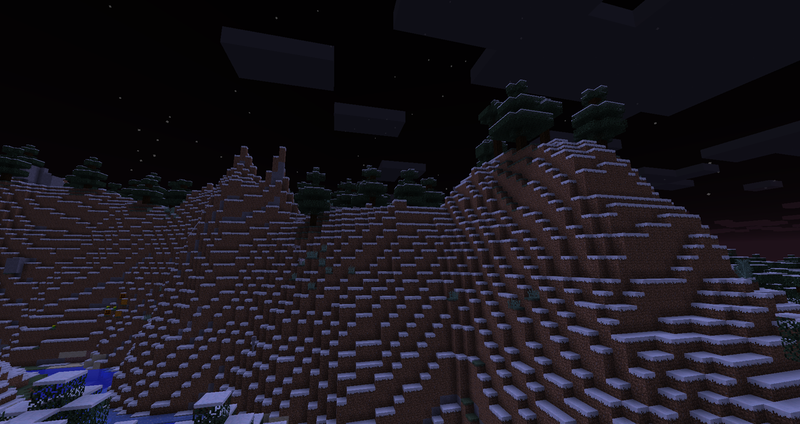 Snow Rocks Mountains: Hilly Snow Rocks. 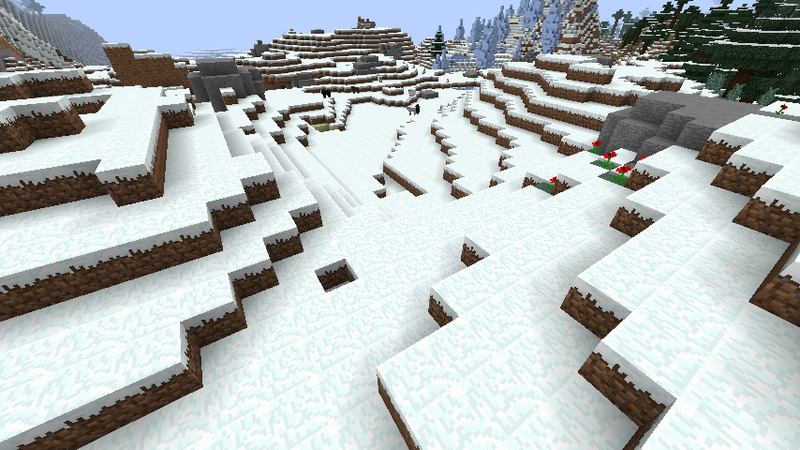 Snow Rocks Plateau: Like the Snow Rocks biome, but on a plateau. Sand Dunes: Hilly sand-covered land with a hot climate. 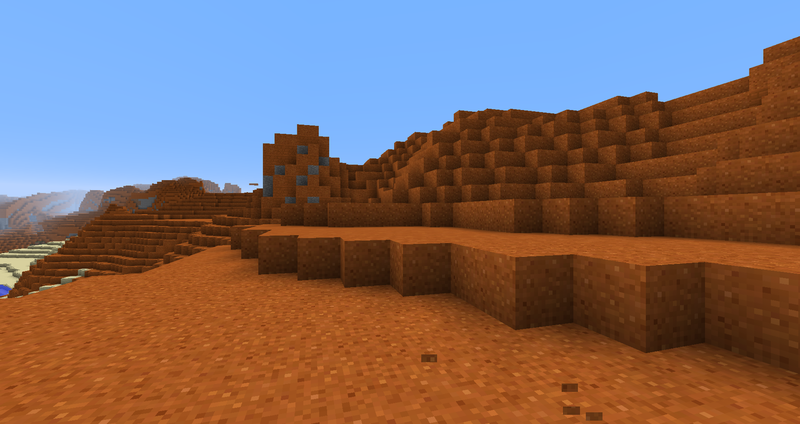 Red Sand Dunes: Like the Sand Dunes, but with red sand. 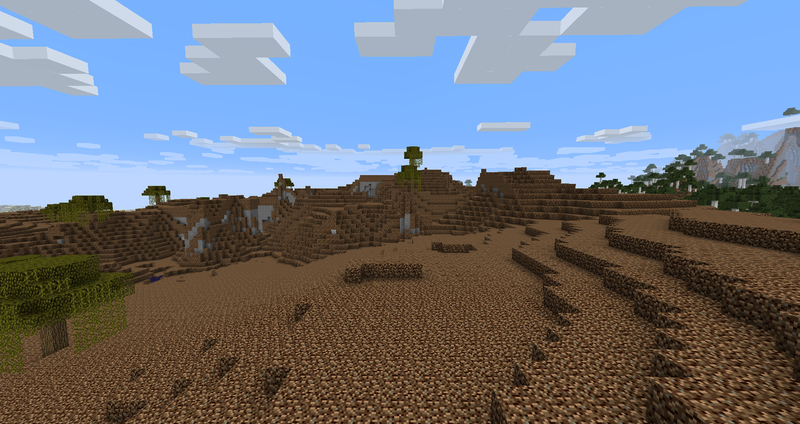 Sand Dunes M: Extreme Mountainous hot sand-covered land. Sand Dunes Oasis: Low lying oasis with an abundancy of palm trees. 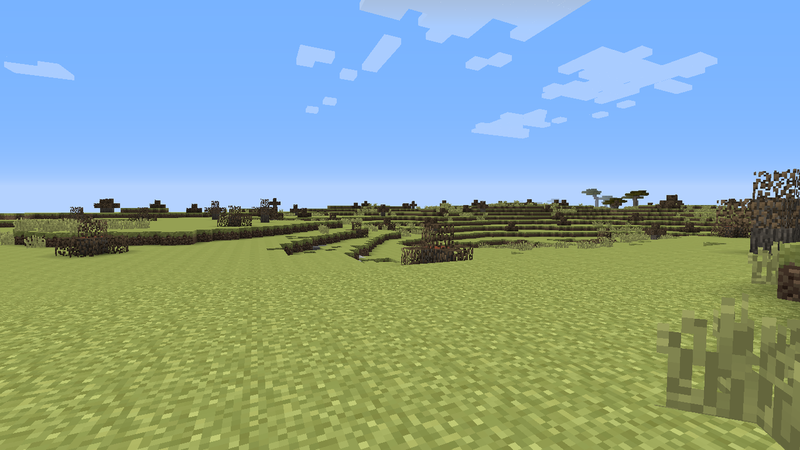 Grassy Fen: Low and slightly hilly wetland. No trees generate here and lilypads naturally occur. Ground is covered in grass and some wet soil. [1.3.2+] Grassy Marshland: Almost-Flat wetland covered in grass and wet soil with no trees and some lilypads. 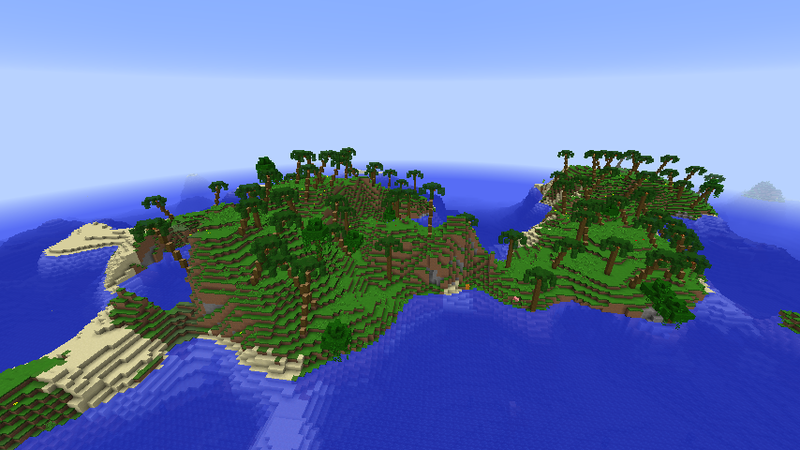 - Archipelago: Ocean-Islands style biome with islands covered in palms. 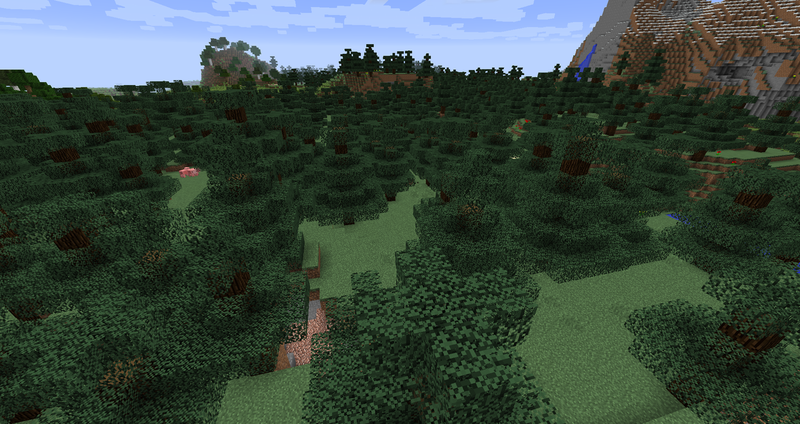 Bush: Low flat-ish and dense forest based off of New Zealand's forests, with "Manuka" based trees and low shrubs. Ferns sometimes appear here. 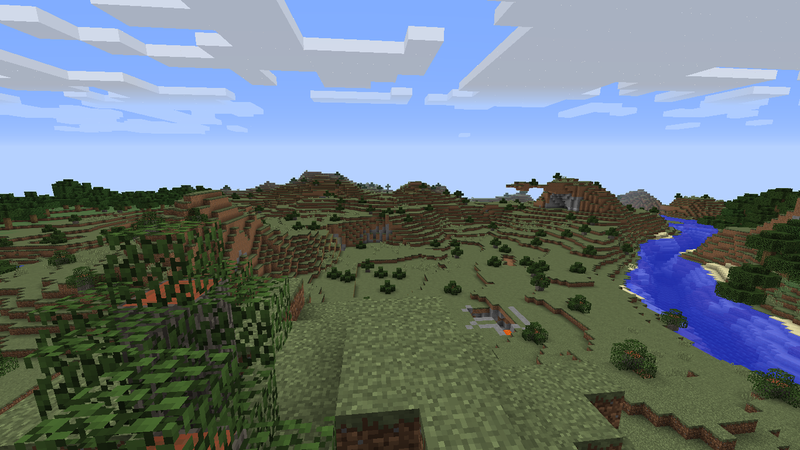 Bushland Hills: Hilly, dense forest based off of New Zealand's forests similar to the regular "Bush"
Forested Canyon Plateau: Flat, plateau variation of "Bush"
Forested Canyon Plateau M: Hillier plateau variation of "Bush"
Forested Canyon Pillars: Mostly low-lying dense bushland of shrubs and "Manuka" on grass and podzol with pillars of rock coming out of the ground. 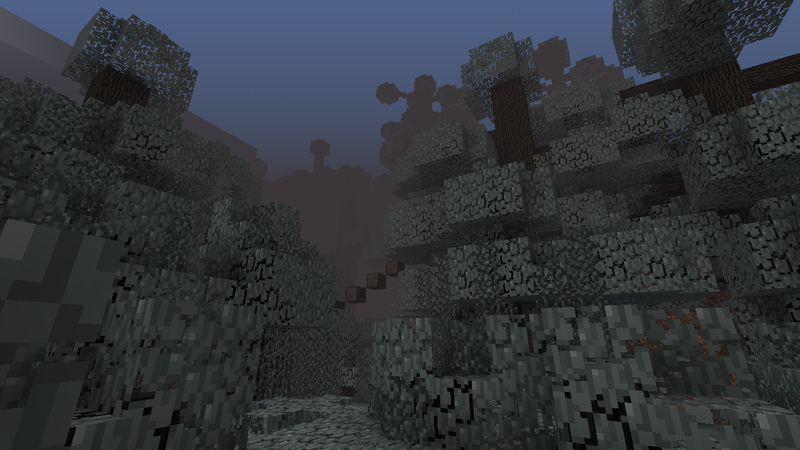 - Ghost Forest: Foggy, grey and rare jungle-like biome in which the player cannot sprint. 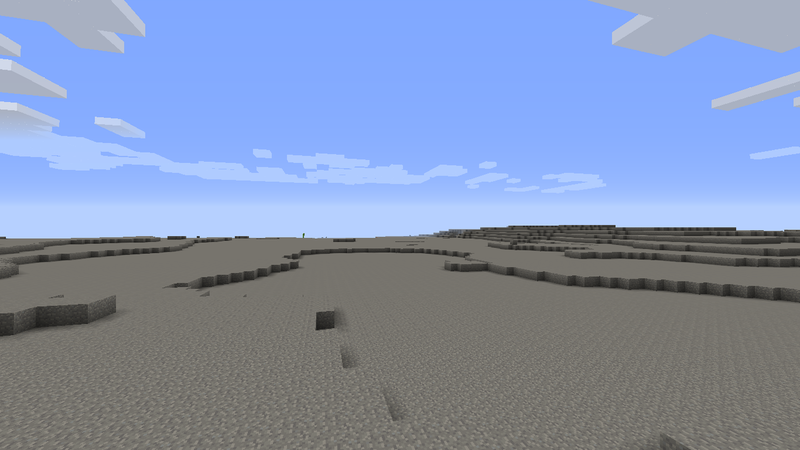 - Barelands: Grey and desolate wasteland style biome. - Stony Reef: Shallow ocean with a floor of gravel and stone. Palms occasionally form on shores. 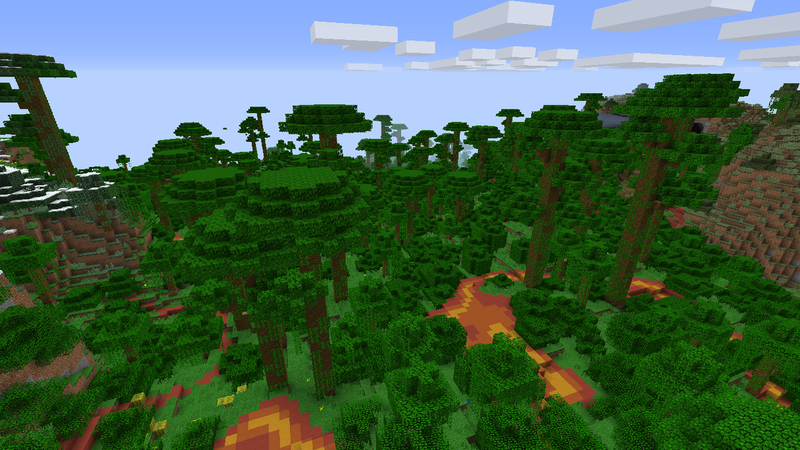 - Tropical Jungle: Less dense Jungle biome with occasional clay path-like structures on the floor. ORES AND MATERIALS Feel free to give me suggestions on how I can add uses for these ores. Whitey-Green ore. Used for decoration and armour. 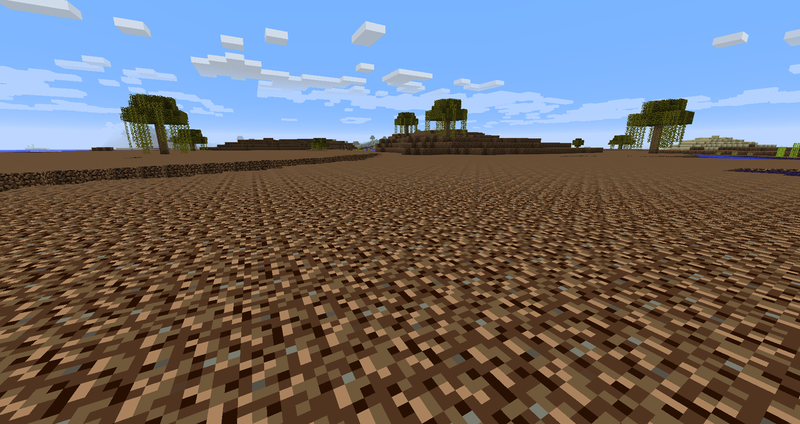 Spawns as a yellow-tinged andesite based material. 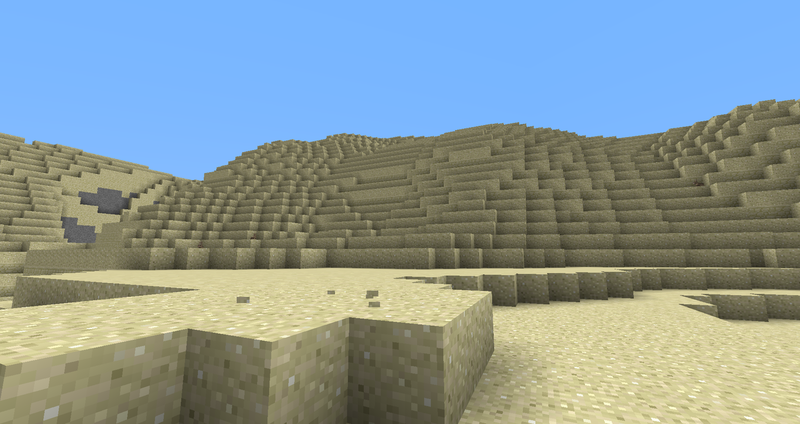 Most common of the ores. Uses as seen in the "other" section. - Combining two saltpeter and one sulphur in a crafting area creates two gunpowder. - Combine Toluol with Nitric Acid (found on broken-down trade ships) to get Trinitrotoluene, The main ingredient of a new, more powerful TNT. Feel free to make suggestions that match the mod's goal and are not overpowered, as this mod is not constrained to what I have in mind for it. - Leaf Carpet. 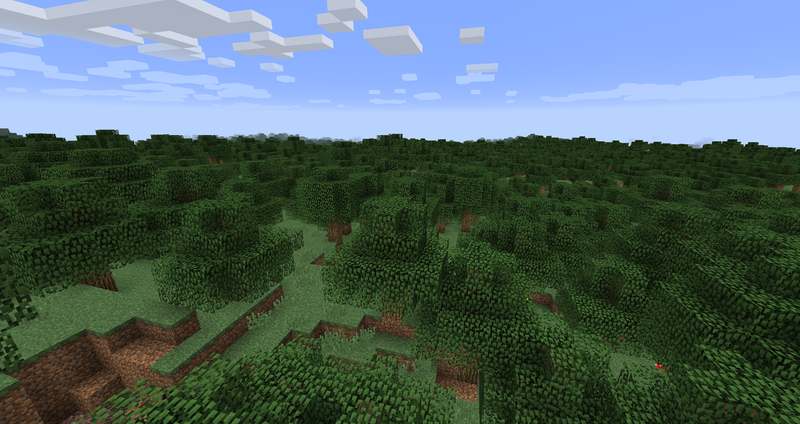 Generates in woodland biomes. - Island Palm (found in Archipelagos) and custom Palm Wood! - New saltpeter texture! Made by artist JaceWithTheRedVans! - Removed testing console code for oasis palms. - Fixed ZMC-5 "Crash on [pohutukawa-2] load"
- Changed main menu texture to a custom one. - Feel free to let me know what you think of it. 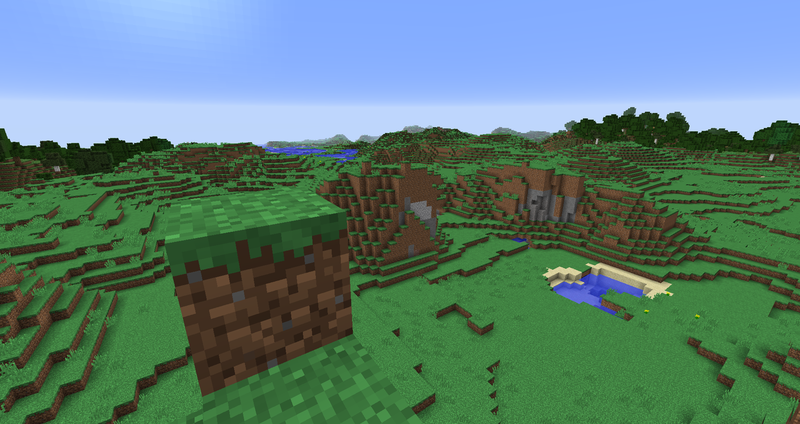 - Alps biomes and Highlands are higher. - A powerful TNT can be crafted with Trinitrotoluene, Planks, and Gunpowder. For now, use a mod such as JEI to see the exact recipe. - Normal minecraft TNT is again renamed "Gunpowder Explosive"
- A new, more powerful TNT explosive is crafted as explained above. 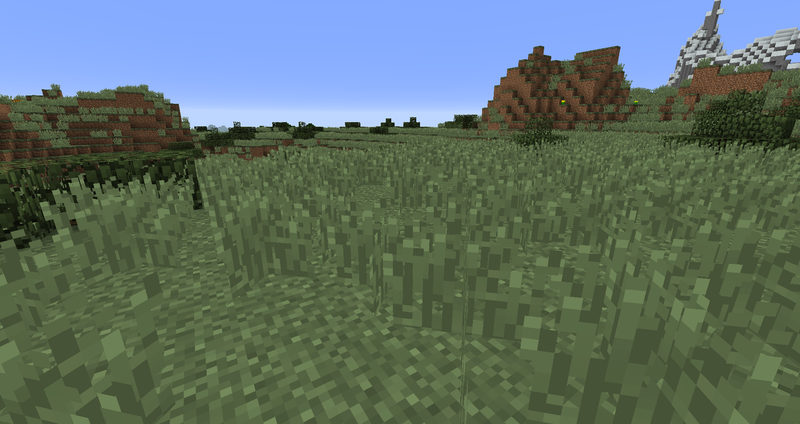 - Grassy Fen is now part of a major biome category "Grassy Wetland"
- The other biome in this category is "Grassy Marshland"
- Wasteland Flats Trees now has more trees. Some of these are stripped logs. 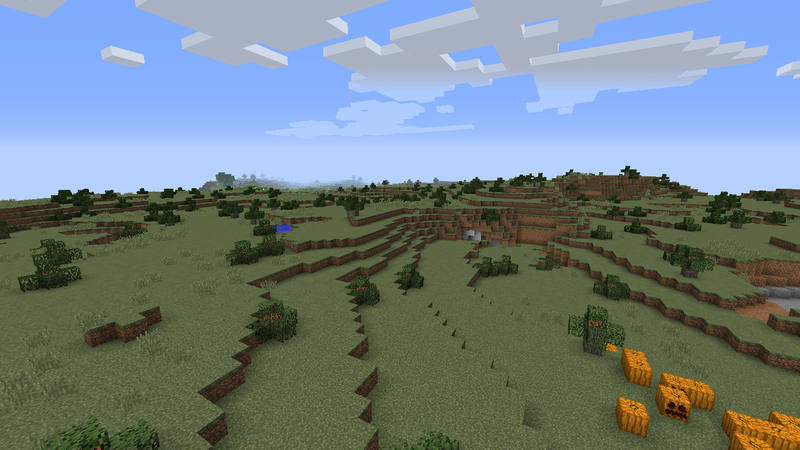 - If 1.3 biomes are disabled in the master config, the game can now still recognise them. 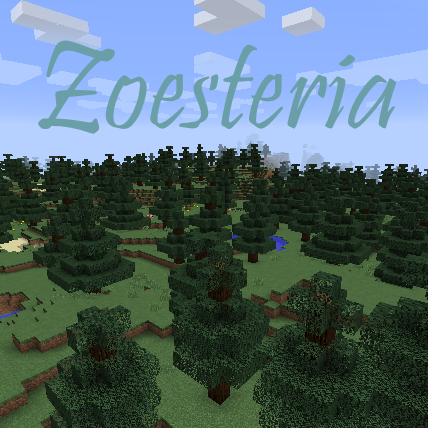 - Renamed mcmod.info name to just Zoesteria Biomes. This change is purely aesthetic. 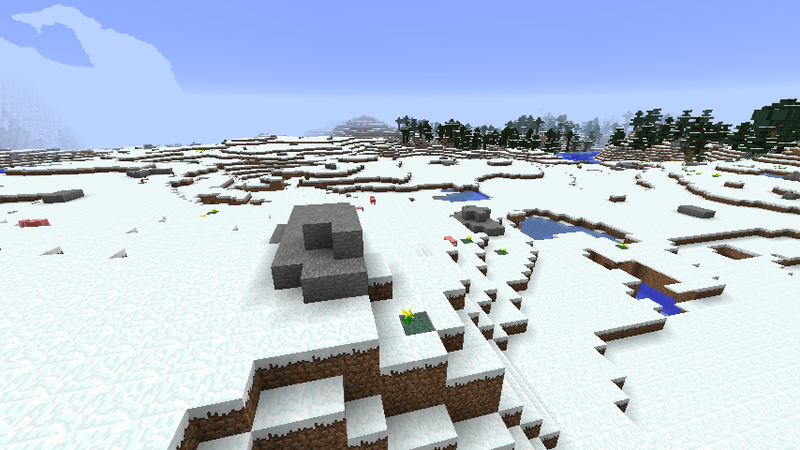 - Wasteland Flats, Northern Alps, and Southern Alps weights are all now configurable. - Kellixon created a russian lang file! Thank you! 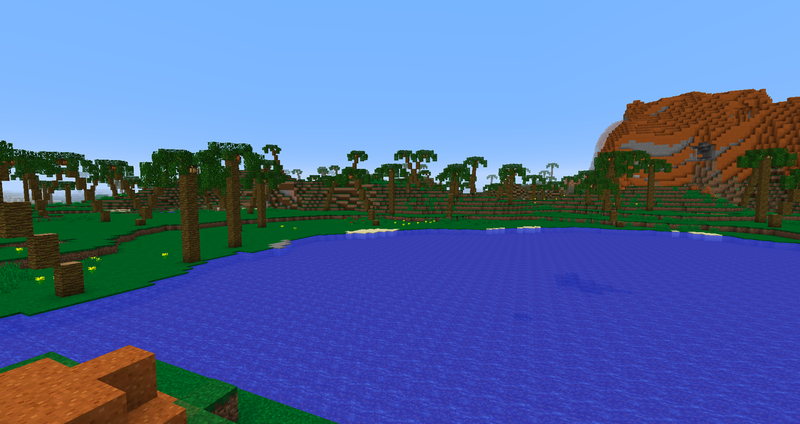 - TNT is now still called "TNT" until I release an update with my new TNT. 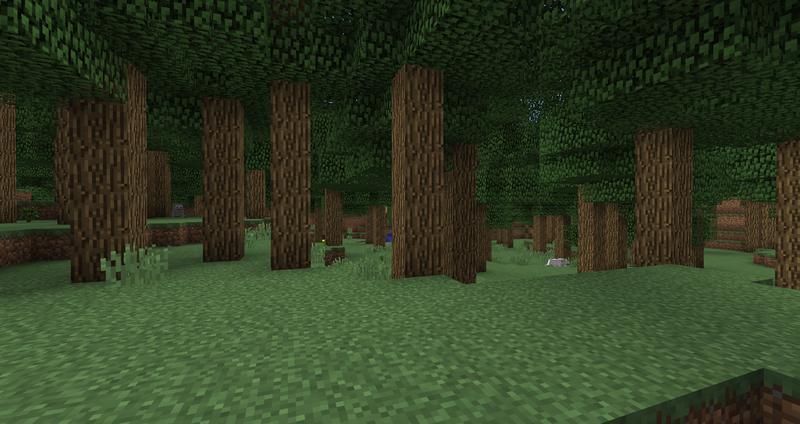 - Changed tree generation code for woodland based biomes. One of these changes is in order to try resolve ZMC-2. 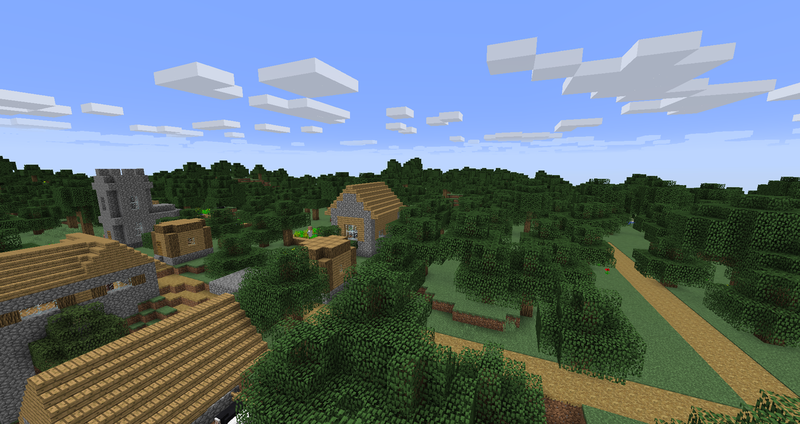 - Lowered default spawn chances of some biomes, notably woodland-based biomes. - Reduced trees per chunk in low spruce woodlands. 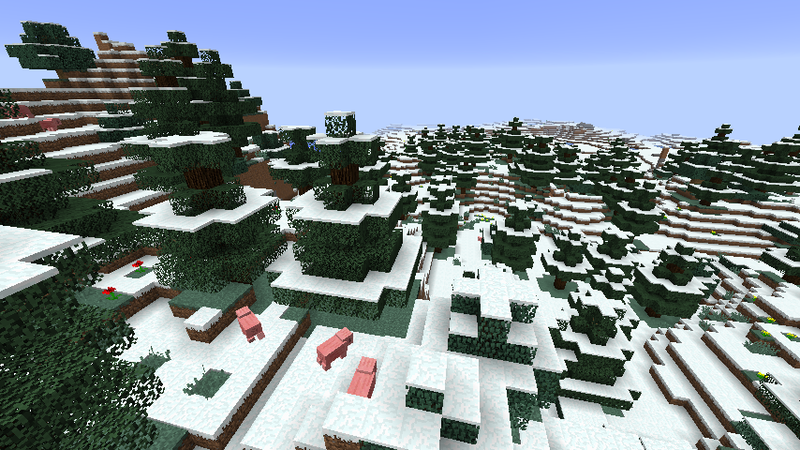 - Woodlands Biomes Spawn weights are now customisable! 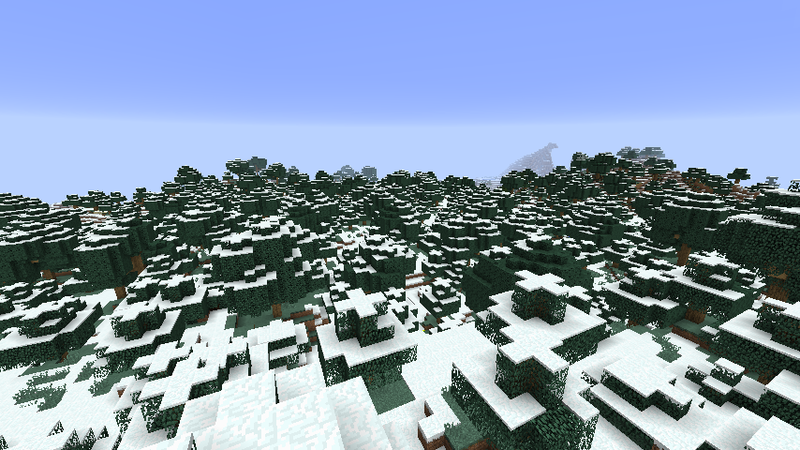 - "Northern Alps" renamed to "Northern Snowy Alps"
- Decreased frequency of some biomes, most notably "Low Woodlands"
(Specific details in information above). - 7 vanadium chains and one vanadium ingot in a chestplate shape make a vanadium chain chestplate. 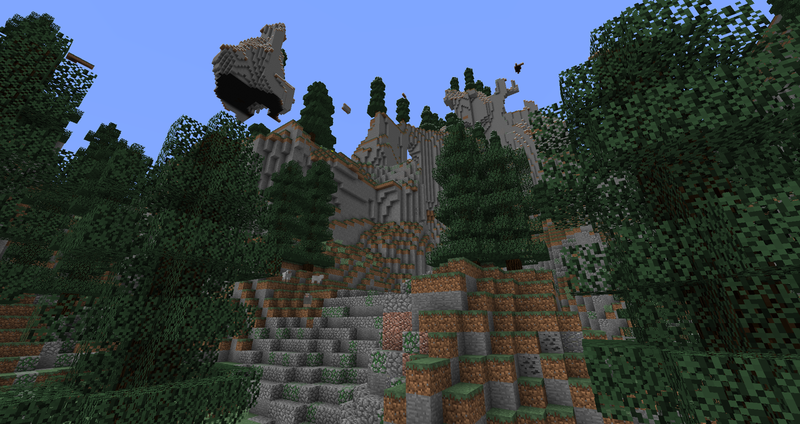 ANY FILE THIS MOD MAY ONLY BE REUPLOADED OUTSIDE OF THIS CURSEFORGE PAGE IN NON-MONETISED MODPACKS WITH TWO OR MORE ADDITIONAL MODS. MONETISED MODPACKS, REUPLOADS WITH ONLY THIS MODS, OR MODPACKS WITH ONLY ONE ADDITIONAL MOD MAY ARE NOT ALLOWED. So: for most of you this means you can put this in your modpack. Did you find a fix for the broken Nature's Compass with JEID? 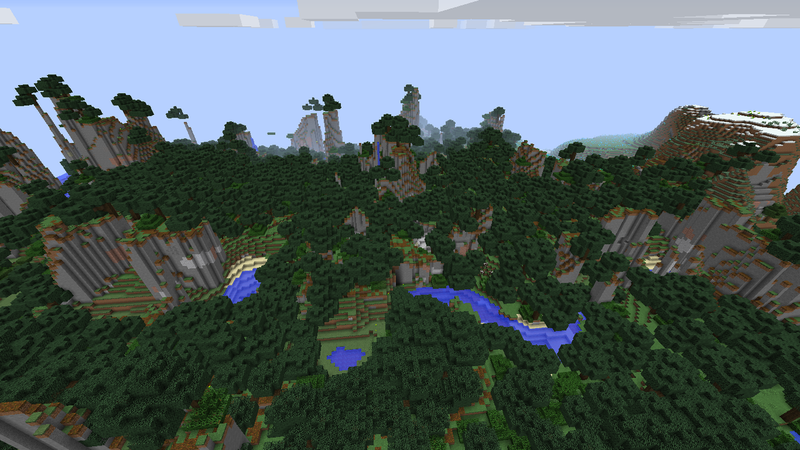 I haven't tested every single one individually but it seems to say that with every combo of biome mods plus JEID - BOP, Traverse, Novum Terrum, Oh the Biomes You Go etc not just this one. As soon as it's over 256 it gives that message. There are no other signs of biome ID conflicts like overworld biomes generating in other dimensions so I guess it's natures compass's problem. Ok, so why are the White Woods hot? That's a mistake right? They're registered as BiomeType.ICY ?? 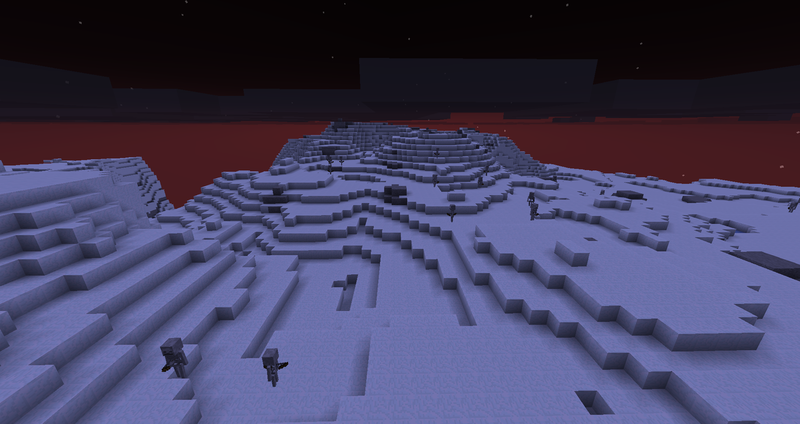 It seems to be acting like an icy biome with tough as nails so it must be some problem with Heat and Climate. This appears to be caused by a biome ID conflict...which is very strange as I'm using Just Enough IDs which should prevent any ID conflicts. Is there an incompatibility with JAID and Zoesteria? You're not as far as I'm aware. 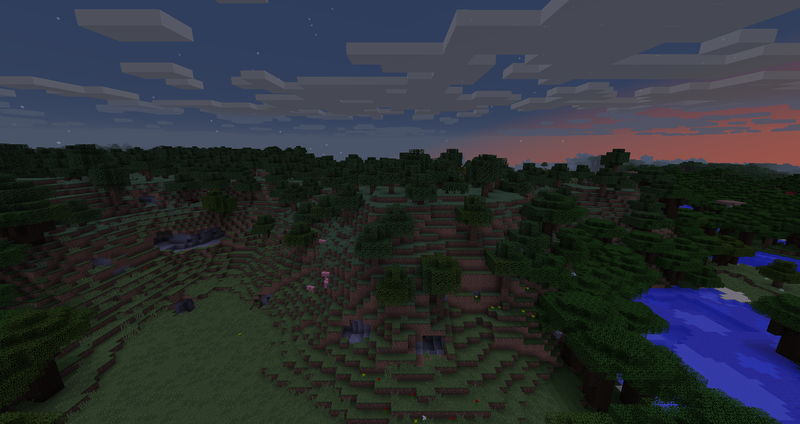 JAID is supposed to work with biomes that are implemented in the standard way. There'd only be a conflict if you're doing something unusual.